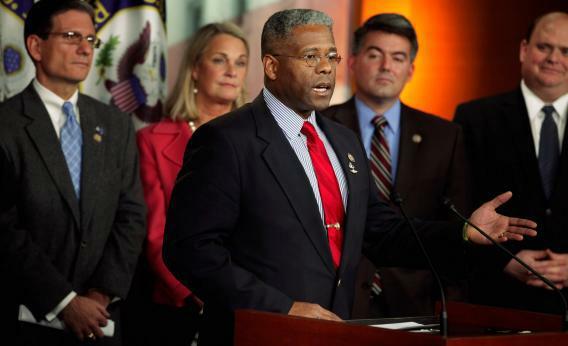 Allen West concedes, and the 2012 elections for the House of Representatives sputter to an end. Serving the people in the House of Representatives has been among the highest honors of my life, but this seat does not belong to me, or for that matter, to any individual. It belongs to the people. I want to congratulate my opponent, Patrick Murphy, as the new Congressman from the 18th Congressional District. I pray he will serve his constituents with honor and integrity, and put the interests of our nation before his own. Brian Ries tells the story of the viral photo of the Obamas you’ve seen so many times in your inbox. Jim Geraghty has real talk for mean Republicans. There’s a word that accurately summarizes the perspective of Republicans who believe that Latinos voted for Obama because they want amnesty for criminals and endless welfare, that young people voted for Obama because they’re ignorant and want free birth control, and that blacks voted for Obama because they wanted free cell phones: contempt. And it’s hard to persuade people to adopt your perspective, join your movement, or vote for your candidate when you speak of them with contempt. McKay Coppins asks the conservative media how that “vet the prez” stuff worked out. Chris Geidner explains the success of the gay marriage campaigns, something Will Saletan wrote the other side of this week.